Seven will again screen British horseracing event Royal Ascot, securing broadcast television and online, mobile, social and digital rights. 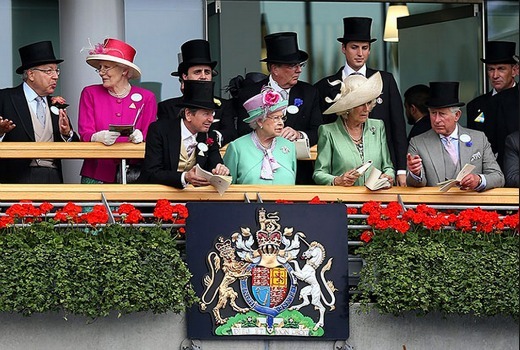 Under the new agreement, Seven will broadcast the last three days of Royal Ascot in June and coverage includes HbbTV. Awesome, well done 7 ! Can’t wait for this I am a huge horse racing fan and I love what seven are doing with horse racing. Be intruged as to what the channel 4 coverage is like. Also will save me from getting the channel 4 coverage via other means. So are they doing their own coverage or just taking Channel 4’s coverage? Sorry maxdude but some of us love horse racing and couldn’t give 2 hoots for AFL. Each to their own. Seven wouldn’t pay for it if there wasn’t interest, the simple fact is AFL doesn’t rate in Brisbane , we are a rugby league town. @maxxdude: Are you serious? People in Melbourne have to watch AFL in SD on the main channel while you whinge about it being on 7mate in HD! You should be thankful you can watch it at all! Seven can’t put Australian sport on it’s main channel (AFL in Brisnane can only be seen on 7mate even if the Lions are involved) but it can waste money on this. Now someone’s complaining because the AFL IS in HD on 7mate. OMG, so hard to press a button or two on the remote to change channels.